Today we are talking about an incomplete mod that I would love to see completed one day. This mod is for Star Wars: Empire at War – Forces of Corruption and what this mod does is change everything to Starship Troopers, well not exactly. Right now the only part which is done is the space skirmishes and the creator said the ground section of the mod is dead. This will not do, so I wanted to give some exposure to the mod in hopes that someone out there has the ability to make this mod complete. Today we are talking about the famous Hearts of Iron mod Kaiserreich. What Kaiserreich does is create an alternate historical scenario were Germany wins World War I and the mod picks up that historical timeline in 1936. So the entire world has changed, Germany is a world empire, France is now socialist and Canada is a beacon for the world’s remaining royalists. From this platform create your tale and see how the world might change. Welcome to our 8th day in our month of mods. Welcome to our 7th day in our month of mods. Today we are talking about a Mount and Blade mod Anno Domini 1257 or as I call it, 1257 AD. 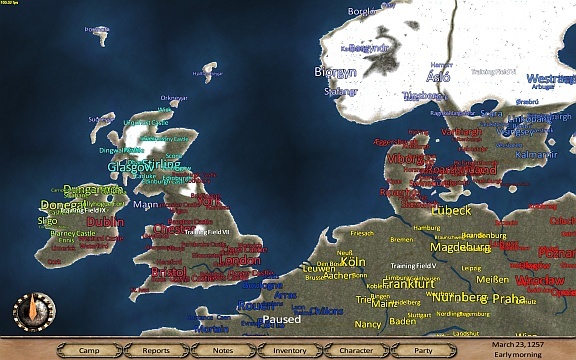 The mod basically takes the mount and blade engine and adds a ton of new gear and nations to play as, because the mod transports you into the world of 13th century Europe. More than 30 nations to play as and historically accurate figures and lords, this mod takes the already great Mount and Blade experience and makes it even better. Welcome to our 6th day of our month of mods. Today we are going to be talking about the Rome Total War Mod, Roma Surrectum II. This mod is pretty much a complete remake of the original game. Expanding and improving on the first one in every way imaginable. From tons of new civilizations, to redesigned graphics, to enhanced AI, to new soundtrack, Roma Surrectum is unquestionably the definitive Rome Total War experience.